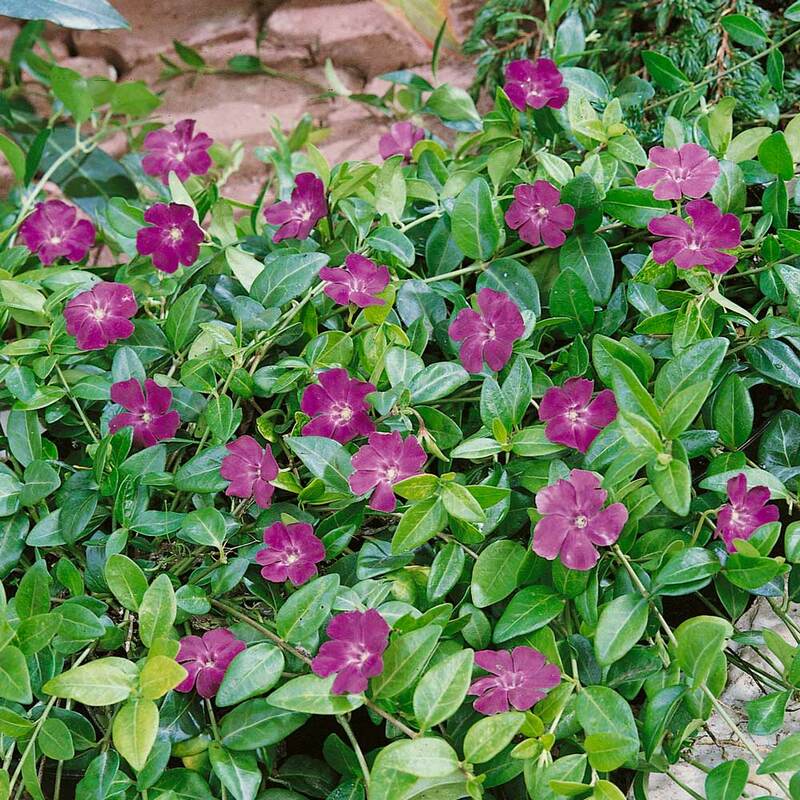 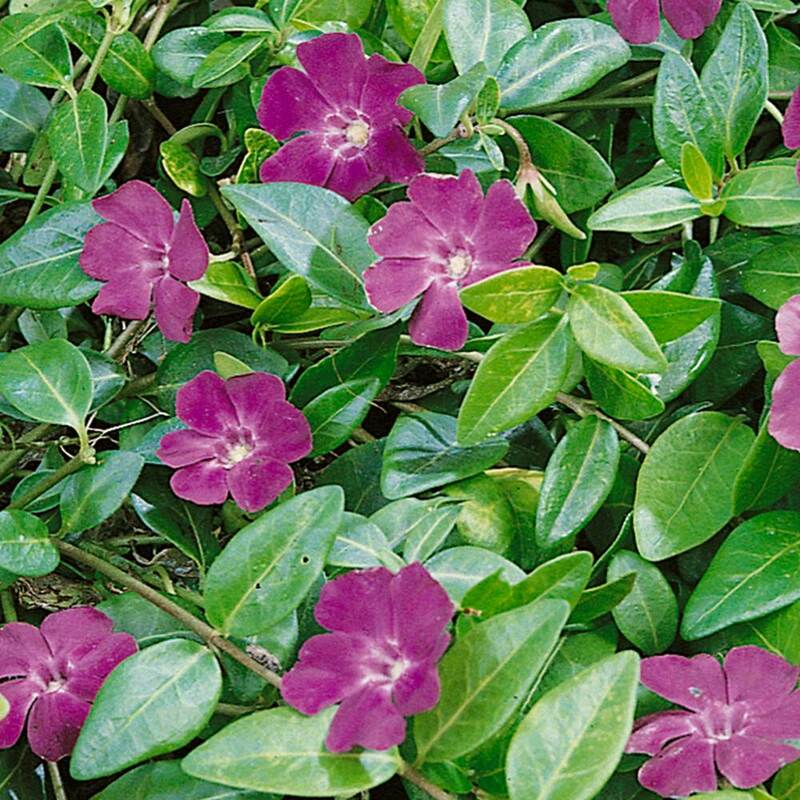 An unusual Vinca Periwinkle with Plum Purple flowers, a ground cover, creeping evergreen. 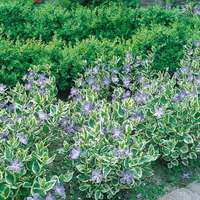 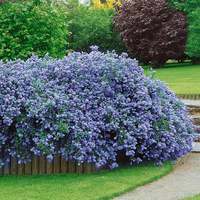 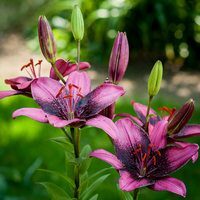 Plant in groups in sun or even full shade. 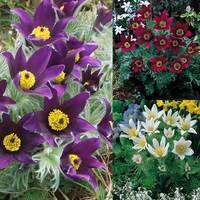 Flowers will be produced from May to October. Supplied in 9cm pots.